The Pasture, Rangeland, & Forage (PRF) Insurance Program is administered by the Risk Management Agency, the arm of USDA that oversees crop insurance products across the nation. This insurance coverage is strictly to protect against lack of precipitation. This program offers flexibility in coverage options. We tailor every policy to fit each rancher’s budget. Fight back against lack of rainfall with PRF! Serving all western states. Please contact Quinn Briggs @ 775.304.3090 for a complimentary assessment. Rambur Charolais is looking to hire some good help! They are looking to fill 3 positions, or find 2 people that can split the responsibilities. Housing is available for all three positions. Pay will be based on experience. 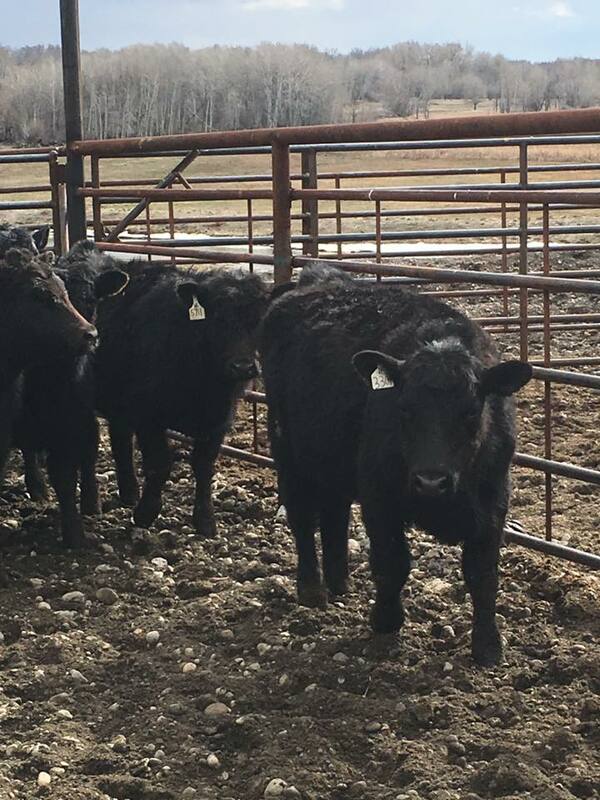 If interested, please call 406-285-1907 or email krosecattle@gmail.com with the job title in the subject line! Call Hans @ 406-581-0612 or Steve @ 406-498-3005 if interested. 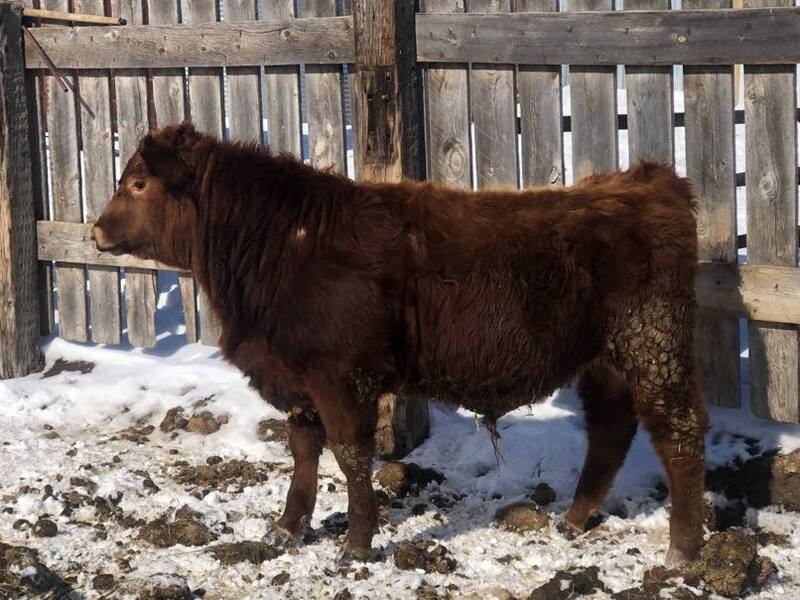 Good young yearling Red Angus Bull available. Don't mind the mud, rain after record snow makes for muddy pens. Bull located in Idaho and video available upon request. 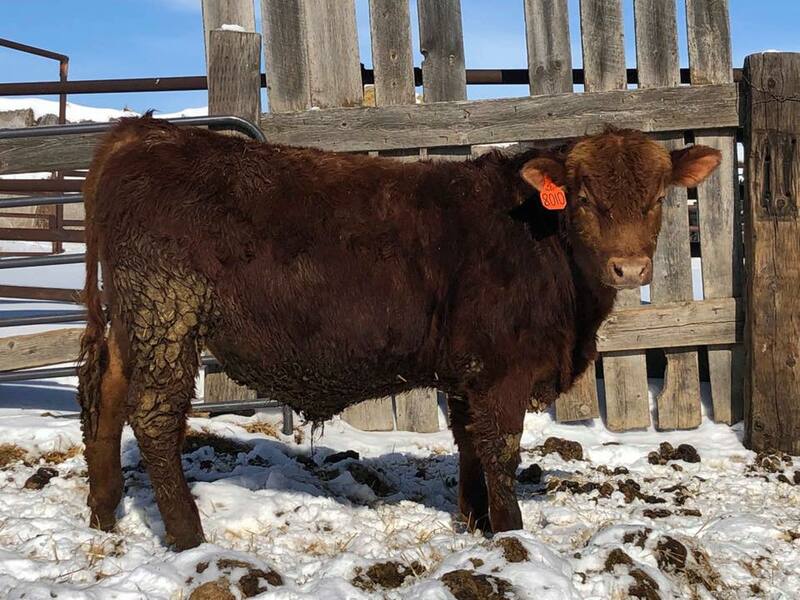 Half are AI calves sired by SAV Bruiser and the remaining are out of 44 Farm bulls. Weaning: Inforce 3, Bovishield Gold OneShot, Vision 8, Ivomec Plus dewormer.